The original Webex session for this event was booked out within two weeks and we closed the event. We have increased the webinar ‘seats’ and have re-opened the bookings. This post is a repeat of the earlier so that you can sign up to the event if you missed out. 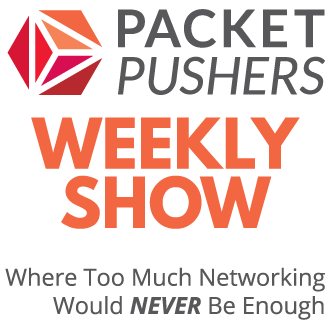 Are you a Network Architect or Designer ? Are you responsible for strategy, long term vision, or simply keeping track of upcoming technologies ? If so, you will need to know more about OpenFlow and Software Defined Networking and how it impacts the future of Networking in software and hardware. This session is designed to introduce to you to both OpenFlow and Software Defined Networking. Even though OpenFlow an early stages technology, this session will consider what we know about OpenFlow today by explaining the technology from the bottom up. Then we consider OpenFlow controllers and their evolution into Software Defined Networking. We will discuss current developments in Controllers, the range of startups and progress of the major vendors and their market strategies. At the end, you should have insight into OpenFlow and the diverged future of networking infrastructure. 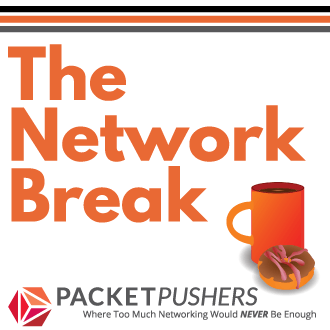 Following the enormous success of Packet Pushers OpenFlow Symposium there has a been a lot of interest and questions about more detail on SDN/OpenFlow. Ivan Pepelnjak and Greg Ferro have co-operated to prepare a webinar on the industry leading ipSpace live webex platform to keep you updated and informed about developments, progress, and maintain an introduction to SDN & OpenFlow. Greg Ferro is a Network Architect and Engineer since mid 1990’s and worked in both Australasia and UK for a wide range of companies including finance, online/dotcom business and Service Providers. He has over 20 years in IT, in wide range of employers working as a freelance consultant including Finance, Service Providers and Online Companies. He is CCIE#6920 and also experienced in a wide range application & security technologies. What are the key features of OpenFlow ? What is controller based networking ? Key criteria for OpenFlow designs. The good and bad. Is it really flow-based ? How do those rules work ? The impact of wildcard matching. What does OpenFlow do for my network designs and architectures ? Switching, routing, wireless, 3G – all open to change. Does OpenFlow interoperate or replace my current network ? What is Software Defined Networking (SDN) ? What are some sample use cases for deploying the technology ? Can OpenFlow/SDN scale to meet large networks ? Options in SDN controller designs as a Management tool ? Can SDN controllers be reliable and resilient ? OpenFlow has early support from the major vendors, what should I be looking at ? There has been a lot of interest about OpenFlow recently in the press and at the Packet Pushers but there is not a lot of information about OpenFlow, how it works, and what it can be used for. Also important is the companion technology known as Software Defined Networking and the next wave in Network Management and Network Control software. If you are a Network Architect, Designer or Sales Engineer you will need to have some knowledge of OpenFlow for strategy and planning. This session aims to provide you with a solid grounding the technology and the opportunities of Software Defined Networking in the next five years. This session is interactive – you can ask questions and raise topics for discussion. You will receive the presentation handouts and access to the recording of the event for the next year. Any updates to the content, and recording within the year are included in your subscription. Greg – this was a fab session mate. I am looking forward to the download (missed bits). Hi Greg, an outage at work made me miss all of it. I did sign up for it, so would I be able to get access to the recording at some point in time? Yes. we will get something posted at IPspace.net in the near future. Thanks for all your feedback about the event.